At this point, Run the Jewels' logo may be the most well-known logo in hip-hop. It's been parodied and painted on walls across the globe, featured on four Marvel comic books covers (and counting), and it's becoming clear these are the most famous disembodied hands since Thing T. Thing. 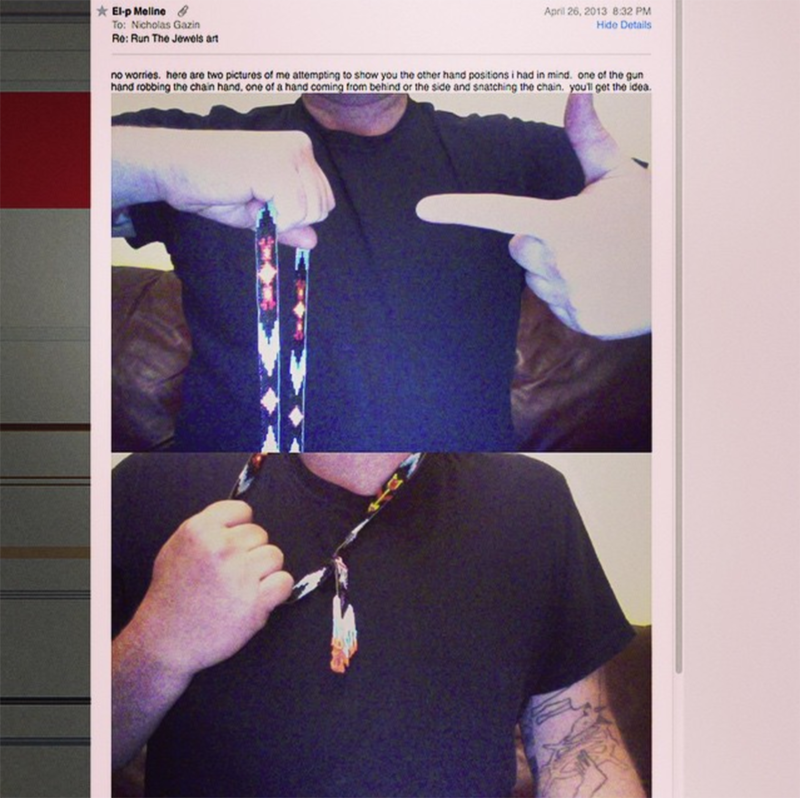 The 2013 email from El-P to Nick Gazin, with initial thoughts around the artwork. "They’re kind of these blue demonic hands and there’s something either frightening or friendly about them," creator Nick Gazin told the Verge in January, 2015. "I see them as being this kind of ‘haunted house’ aesthetic, not necessarily satanic... The blood stains almost imply a horror movie, but I see it as the hands have survived things. I think it makes sense considering the year we’ve had. The whole image is about coming back after having been beaten down."